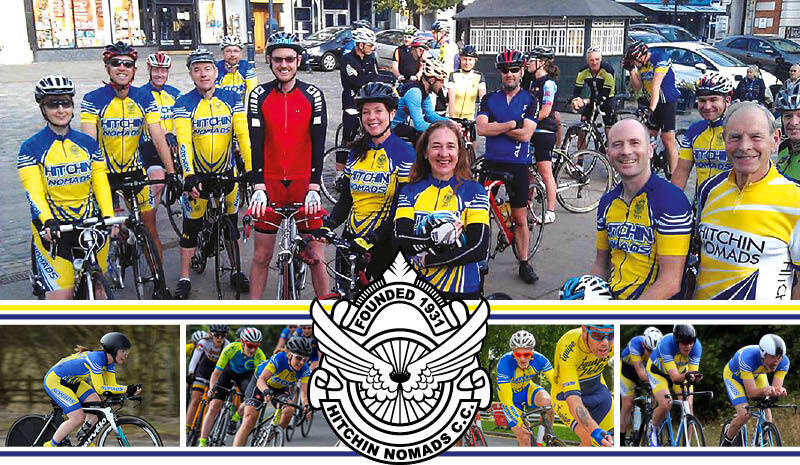 Hitchin Nomads Cycling Club has been the focal point of cycling in the town since 1931. 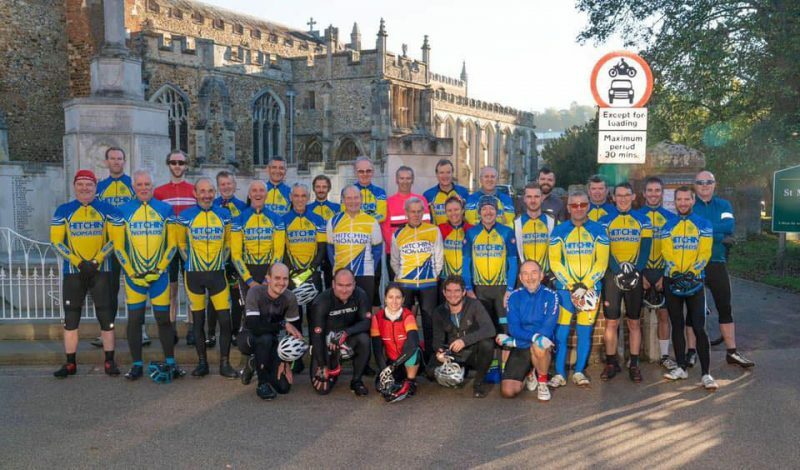 The club has a membership of around 100 cyclists and family members and there is an ever growing series of events which the club runs or takes part in. The club is entirely run by volunteers and is self-funding. Competitive activities including time trials, road races and cyclo-cross. The club’s members also take part in long distance point-to-point or sportive rides as well as simply riding for fun. There is an off-road mountain biking contingent and there are also a series of targeted training and coaching activities. Membership is open to everyone, young or old, novice or expert and even to members of other clubs. You can meet up with us in Hitchin Market Square most Sundays from 0900h as part of our weekly club run. Or you will find us near Southill on Tuesday nights from 1830h onwards between April and late August. Check the events pages and the news sections for “what’s on” information. Failing that, drop any of the club contacts an email to find out more. Application forms and membership information are also available to download.